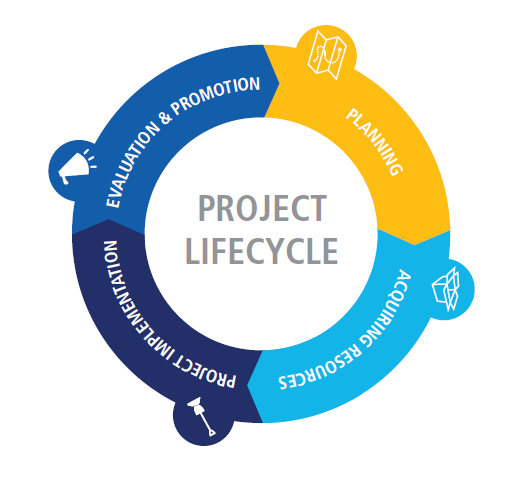 During 2013-14, with the help of more than 35 Rotarian presenters, we hosted a Lifecycle of a Service Project webinar series to help you make lasting improvements in communities around the world. Thank you to the more than 2,400 folks who joined us for these webinars to learn from fellow members and share their own best practices for success. IMPLEMENT – Now that you have a plan and resources; get to it! Promote your project in local media and on social media. EVALUATE – Once the project is complete, take time to reflect on its impact, its successes, its challenges, and lessons learned. 3. Do your research. Participants in the introductory webinar agreed that the Areas of Focus Guide is the most useful publication to consult when planning a service project. Find it, and other great resources, on the Lifecycle of a Project web page. 4. Plan for the long term. Sustainability is crucial for long-term success, and must be part of your plans from day one. Sustainability means providing lasting solutions that the benefiting community is motivated to—and capable of—maintaining after Rotary’s direct involvement ends. You can help ensure sustainability by empowering community members to take on responsibility for the project through training and capacity building. 5. Set goals and report achievements. Remember to update your service project goals in Rotary Club Central then see how close your estimate matches the actual resources and funding you used. Use this information to plan even better projects in the future. Share best practices with your groups! 6. Work with partners. Collaborate with Rotary’s partners or develop your own partnerships with organizations and government entities in your community. 7. Crowdsource for support. Are you looking for funding? A district or global grant from Rotary may be available. Or use Rotary Ideas, Rotary’s crowdsourcing tool, to find resources for your project.